Female mosquitoes looking for a meal is such a common occurrence during the summer. They breed in standing pools of water; eliminating them from around your house, including buckets, puddles, and bird baths, will reduce the population and reduce the risk of being bitten. There are a wide variety of mites that affect your pet; from the fur mite that likes rabbits and hedgehogs to mange to ear mites, these tiny pests can cause a lot of irritation for your pet. You may notice your pet scratching more, or rubbing up against things in their cage. When you look closer at their skin, on the thinner scales on reptiles or under a small animal’s fur, you may notice small dots moving around. They can be light in color, brown, or dark red. They can come from anywhere: bedding and hay are natural sources of infestation, or they can even hitch a ride when coming in from outside. Ticks are more commonly found when you and your pet have spent any time outdoors, especially in high grass or shrubs. These parasites attach to you or your pet, looking for a meal. 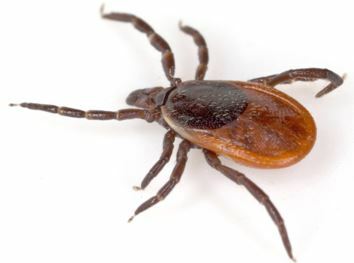 Ticks are often first felt while petting your dog or cat. The best thing to do is prevent any association with a tick in the first place. When walking in wooded or grassy areas, wear long pants tucked into shoes and long sleeves; light colored ones make it easier to see ticks. Always carefully check both yourself and your dog after activity where ticks are common. Did you know the Chicago has the distinction of being in a high flea problem area? Read more here . . .